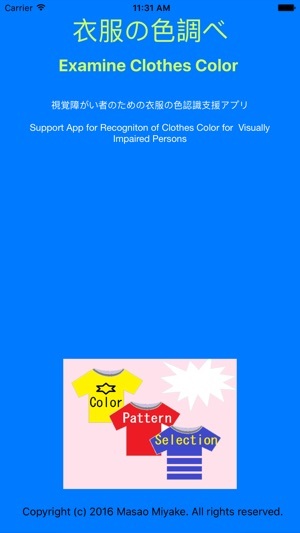 This application plays a role as eyes so that visually impaired persons can choose the color and pattern on clothes by themselves. 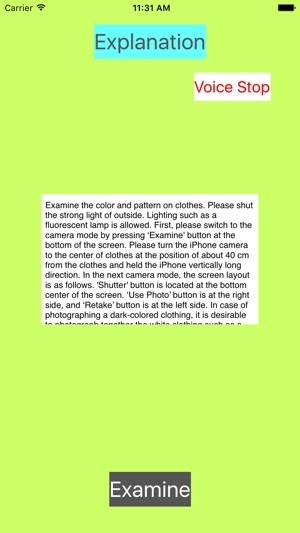 When you take a picture of clothes with this application, it speaks the color and pattern on clothes. 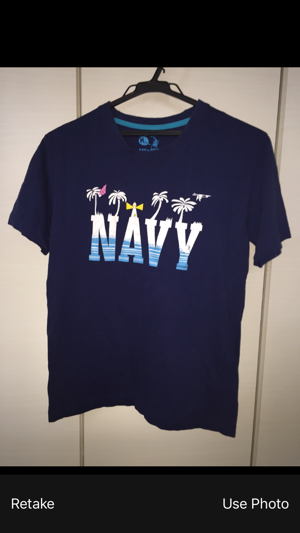 The color included in clothes is expressed by up to 4 colors. The pattern is expressed by a category of 5, vertical stripes, horizontal stripes, checker, plain color and other pattern. Photographing location is the room where direct sunlight does not gleam. 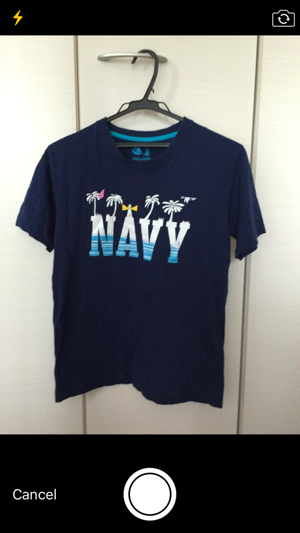 After starting the App, move the iPhone from the clothes to the position of about 40cm, and take a picture. The flash fires automatically. 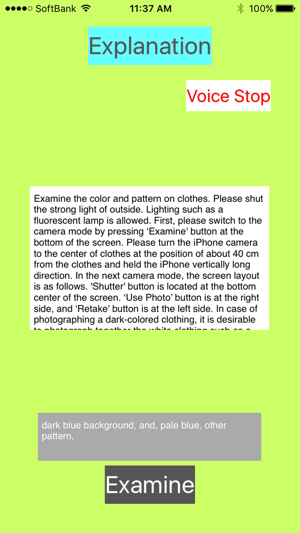 The Models that can appropriately correct the color are the iPhone4S, 5S, 6, 6S. The App will work with any other iPhone models. By the voice guidance of the VoiceOver function and the App program, it can be used in those who are visually impaired. It tells the transition of the screen in the voice, and the screen is a simple configuration. * Manner mode, please release. This system has been developed in order to support the independent living of visually impaired persons, and uses a special method of correcting the color in order to correctly recognize the color that changes by lighting environment. * Developer: Masao MIYAKE, Doctor of Engineering. The occurrence of trouble at the time of launching of the application has been reported, and in order to prevent it, the localization method of the language of synthesized speech was modified.